The holidays are always a busy time for scammers, and the reason is simple. It's the time of year consumers are most likely to open their wallets. Most scams have moved online, using spam emails and fake websites to steal everything from credit card information to complete identities. 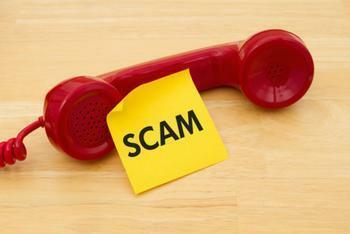 But there are still plenty of old school scammers out there using the telephone, both landline and mobile. Using robocallers, scammers can hit millions of potential victims simultaneously, making them infinitely more dangerous than in the past. A new report from Hiya, a call-blocking app, estimates more than 10 billion robocalls will be made in the U.S. by the end of the year. Hiya reports seeing holiday related scams increase by more than 113% since this same time last year. Jan Volzke, VP of Reputation Data at Hiya, says scammers exploit the fact that consumers are primed to make charitable donations during the holidays. The Hiya report finds that since the start of 2016, the total volume of unwanted calls has grown 47%. Fraudulent calls have surged 130%. Donation/Charity Scams – A caller claiming to represent a law enforcement agency is the most common. But phony cancer and firefighter charities are right up there. Tip: Never donate to any charity that calls on the phone. Instead, choose a well known national charity or support a good cause in your local community. Gift Card Scams – Victims are told they've won a free gift card, but have to pay a small fee of some type in order to receive it. Scammers also offer to sell victims a gift card, with the promise they will get two additional gift cards free. Of course, they don't receive any gift cards. Hiya says this scam is up 162% from last year. Tip: You can go to almost any supermarket or discount store and select from a wide range of gift cards. Why would you buy one from some guy who calls you up? Remember, no legitimate business is going to offer a couple of free gift cards, just because you bought one. That's a quick way to go out of business. Tip: Something that is offered free, but requires an upfront payment of some sort, is nearly always a scam.